Recognition: Adaptation to the Bologna Process, recognized in the EU, the European Economic Area, the USA and other countries. Dentistry: The curriculum of the degree program dentistry at the Universidad CEU San Pablo involves all important and necessary areas of studies and topics, which you need to learn, in order to be optimally prepared for your future in the field of dentistry. During the first two years, the focus at the CEU San Pablo is on the theory. In year 1, you will get a rough basic knowledge imparted. The curriculum thus contains human anatomy, biology, anthropology, physiology, an introduction to dentistry and much more. During the second year at the CEU San Pablo, you will get a deeper insight into the subject matter of dentistry, while already learning specialist knowledge. The practical part of the training will begin in the third year of studies, so that you can start it with a profound basic knowledge. The practical classes at the CEU San Pablo will accompany the students until the end of studies in the fifth year. Beyond that, you can attend optional courses in the fifth year, which you can choose based on your personal interest in the field of dentistry. The individual courses have different ECTS credits. Nevertheless, at the end of studies at the Universidad CEU San Pablo, you will have collected 300 ECTS all in all. The Universidad CEU San Pablo, resp. the campus Montepríncipe, on which the Faculty of Dentistry is located, is about 15 kilometers away from the center of Madrid. Directly next to the university hospital on the campus, there is a metro station. You can easily reach many parts of Madrid from there. The CEU San Pablo is located on the edge of a quiet residential neighborhood, in which you will also find a dormitory next to the university campus. In order to be admitted to the Universidad CEU San Pablo in Madrid, Spain, and to start the degree program of dentistry, you have to take an admission exam. The exam will be conducted in English. You will get more information about the application procedure and the admission exam here. 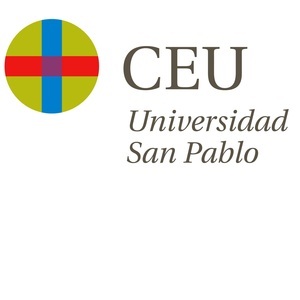 The degree of the CEU San Pablo is adapted to the Bologna process and is recognized in the EU, the European Economic Area, the USA and many other countries. You will get more information about the recognition and accreditation here.